For most of us our mothers were our very first beauty therapist, hairdresser and style consultant. Perhaps she bought you your first cleanser, deodorant or perfume? Or accompanied you to your first hair appointment or treated you to your first mani pedi. Maybe you used to watch her whilst she did her hair or applied her make-up and started taking notes then. Or perhaps she cautioned you against shaving your eyebrows or saved you from that belly button piercing that you now know you would have regretted. This Mother’s Day we are paying tribute to all the mothers and maternal figures that have taught and lovingly supported us in all things beauty, hair and health related. 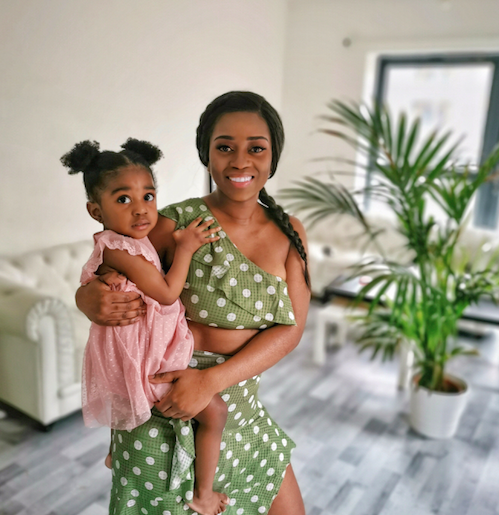 We asked seven amazing women to share with us the beauty and wellness lessons that they learned from their mothers and the tips and advice that they will pass on to their daughters. 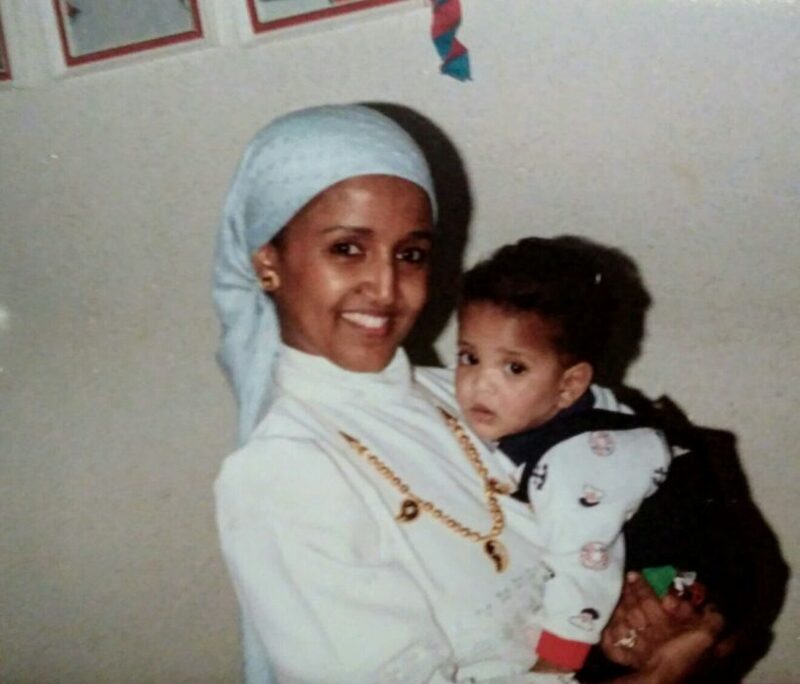 Can you describe your earliest beauty memories from your childhood/ teenage years with your mum? The dreaded weekly hair routine. When I was younger I used to swim three times a week, I loved swimming but with it came the dreaded hair wash. I remember it so well, every two days I would bring the comb and hair creme, sit between my mamas legs, hair on a pillow while she detangles and I use all the neck strength I have to not be pulled back. We used to experiment with braids, bobbles and colours. The butterfly clips were always my favourite. What beauty/hair products did you use to “borrow” from your mum when you were younger? I used to borrow her astral body crème. You weren’t African if there wasn’t a pot of Astral at home. Are there any products that you borrow from her now? No completely the opposite. I now help her with beauty. I bought her her first Mac foundation, pretty sure she hasn’t used it since the day we bought it, but progress. Does your mum have any favourite beauty/ hair/ wellness products and why? She never leaves the house without doing her kohl eyeliner. It has always been her go to. She also loves The Bodyshop powder eyebrow pomade. My mama is pretty low maintenance so that and a fully moisturised face and she’s good to go. 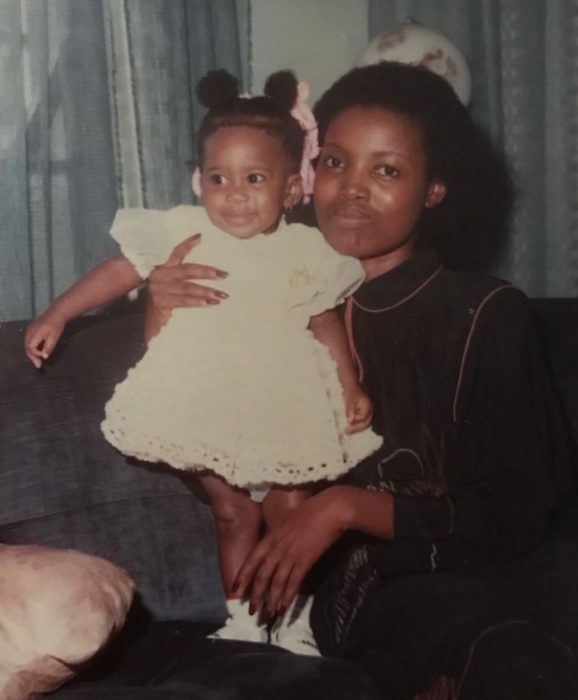 What beauty / hair or wellness tips or secrets have you learned from your mother, are there any traditional remedies that she has taught you? My mama has had a certain homemade hair product she has used on my hair for as long as I can remember. She makes it and everything about it reminds me of home. It’s made from bee wax and oils: coconut, olive, castor oil. you melt them together and control the consistency by adding oils. Can you tell us of a time your mum has stopped you from making a major beauty/hair mistake i.e. banning you from getting your belly button pierced, getting a tattoo or dying your hair for example? I was really never allowed to get my belly button pierced even though it was all the rage in the nineties. All my friends had it and tattoos were a no go too. I wish! Also the constant “Stop straightening your hair it’s all going to fall out and you will be sorry.” When I hit my teens it was the continuous GHD straighteners that we would argue over. Safe to say she was right. What is the biggest life lesson that you have learned from your mother? Always be spontaneous and enjoy life, we once had a competition on holiday to eat ice-cream as many times as possible in five days. To never doubt myself and to never give up. She is probably the strongest person I know. I grew up with my mum and older sisters in a small town in Sweden and there wasn’t anywhere there (or in much of the country) that catered for afro hair. 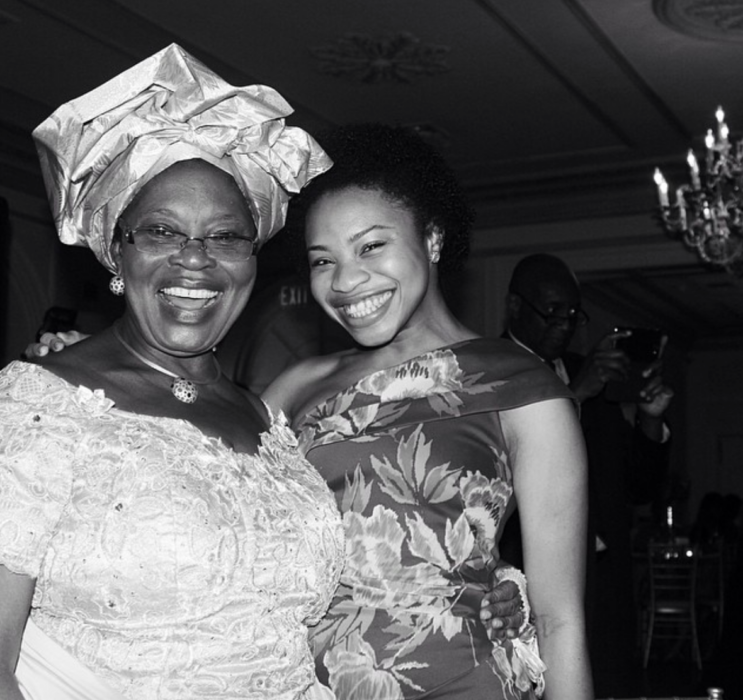 My mum worked hard and saved up her money so we could go on holidays to The Gambia every other year. It would have been around 1986 that I got to have my hair cornrowed for the first time. What a treat! During later visits I got hooked on long braids and they’d stay in until they fell out. What beauty/hair products did you use to ‘borrow’ from your mum when you were younger? The beauty product that I would help myself to as a child would be her perfumes of course. My mum would stock up on scents in duty free during our trips and keep them in her bathroom cabinet for years and years. Anais Anais was a big one. Followed by Lou Lou. Then Giorgio Giorgio. You get the picture. Were there any products that you used to borrow that she would get annoyed about or wouldn’t let you use? I remember being very small and secretly trying to apply her lipstick and being left with the taste of ‘powdered rose’ in my mouth. I don’t remember her caring much about it though, she was pretty laid back. No but I blend her scents and take them back home when I visit so we do share that. Scent has the capability of making people feel beautiful and confident from within, regardless of exterior. And to notice somebody making a silent statement about who they are, that can grab your attention before you have even made a visual connection is something – I love that about scent. It falls under the category of beauty but for me it slots right in with art. Is there anything that you would stop your daughter from doing? I’d like to think that I will advocate her right to express herself. At the same time I know that if I’d gone ahead with all my creative 90’s tattoo ideas, there’s a couple I would most likely be trying to hide come summer time. I think indirectly she has taught me to speak up and express myself. I try and teach my daughter this too. Are there any beauty / hair / wellness tips, remedies or traditions that you will be passing down to your daughter? I already have her drinking pressed lemon water as I feel the all around benefits of it in my skin, in my energy levels and it helps the digestive system too. My daughter likes prepping the water and she keeps it in a glass bottle in the fridge. She’s very organised like that. She also puts coconut oil in her hair from time to time to keep it in good condition and loves to have it in different styles. Beauty wise she’s a little young but it’s only a matter of time before make-up steps on to the scene I’m sure. 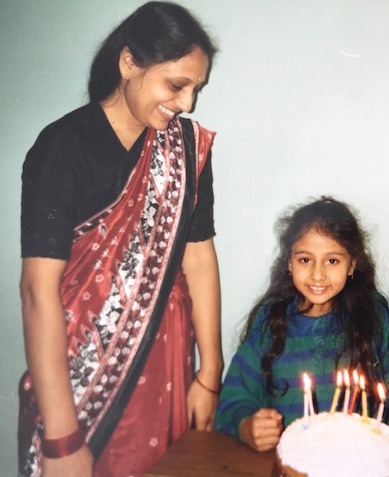 I come from an Indian – Hindu family and my mum is particularly spiritual and religious. So beauty, wellness and spirituality all overlapped greatly and still does but it’s more about inner beauty, protection, salvation… I don’t know if it’s my earliest memory, but I was always allowed to wear kohl on the water line of my lower lid from an early age because that kept ‘nazar’ (jealousy and the evil eye) at bay. We would do things like get dressed up for (Hindu) festivals like Navratri which would involve full on costume jewellery, bindi, bangles, painted nails, different outfits for each of the nights. I didn’t wear make-up as such until I was a teen. It was all part of worshipping. Being plain on such ‘holy’ occasions was shunned on. It’s funny, there were times I loved dressing up, and at other times I rebelled because I wanted a simpler look. And would wear just a few bangles, no earrings and a simple bindi, trying to be minimal and effortless cool or some times I would wear the darkest lipstick I could find and rebel by wearing black over the top of colourful festive clothes. I don’t remember borrowing as such, there was a lot of sharing generally, baby lotion, amla hair oil, talcum powder. mmm.. not really. After my dad died when I was 7 my mum barely wore any make-up or own anything other than a kohl pencil, she was super super plain. Culturally women from certain Indian backgrounds would have to abandon making themselves beautiful if their husband dies, it’s quite sad. She doesn’t care so much about all that anymore but still remains pretty plain in her beauty regime. She wears kohl on occasion and her friend from school recently encouraged her to dye her hair to cover the greys. In terms of beauty, she’s always talking about castor oil. “Castor oil mookh varh mah, thoh var harrah rehy” which means put castor oil in your hair then it will maintain well! Meditation since I was about 16, the idea that beauty really comes from peace of mind. It’s less about aesthetics for her. She’s also been Hindu-vegetarian for a long time. She doesn’t eat anything that creates heat in the body, it’s a Sattvic diet. I followed this for a while pretty blindly. But I understand much more now that I’m aware of my own health. Like eating mung bean curry on a Monday to cleanse away over indulging at the weekend, that makes so much sense to me nowadays. Also fasting once a week is actually really good for you, I used to think of it as starving yourself for blessings but your body will thank you for the break. Now I do half a day or just opt for super light easy to digest food whenever I feel I need it, like when I have a sinus headache. Drinking a large glass of fresh lemon in warm water first thing is another, it’s like a daily mini detox. My mum also adds turmeric, turmeric helps with any virusy/ infection/ inflammation. It was standard to have it in a strong, hot concoction of lemon, turmeric, tea masala and ginger as a cold remedy. It’s so funny how turmeric has now become fashionable to westerners. She also has churren (ashwagandha) before bed every night in milk which I occasionally have in the morning. She makes all kinds of weird things like drinks juice of bitter gourd which I’ve not tried yet. Can you tell us of a time your mum has stopped you from making a major beauty/hair mistake? Not sure I can narrow it down. But she is a very wise and a highly empathetic individual, she seems to get a lot of self worth and energy out of it. I try to remind her to keep her care for others within reason though, to know when to draw the line. Maybe it’s something like that though – helping others = feeling good for you too. They used to call me my mother’s ‘hand bag’. Growing up in 90s Nigeria, I followed her everywhere, for errands, to visit her friends, to the hair salon. She would get a roller set and I would watch and later attempt to practice on my cousin. I wouldn’t get my hair done in the grown folks salon though, every week I was dropped off at some aunty’s (house) to get my hair cornrowed or threaded into elaborate styles and shapes. At the time, I didn’t appreciate how creative and cool these styles were, I just wanted to get my hair done in the grown up salon, with a roller set just like my mother. My mother has a rather minimal approach to beauty. She never used too much make-up and always sported a simple yet chic hairstyle. Hair products weren’t really a thing at home or any of my friends’ homes growing up, they were almost utilitarian in function. The woman who plaited your hair always had a tub of that blue-green grease handy which she slapped on rather liberally to one’s scalp. I think my mother had one of those on her dressing table but it held zero intrigue for me. Everything else however was fair game – lipsticks, perfumes, etc. Haha, probably her lipstick. Apparently, I used to come back from school, get up on the centre table to entertain everyone…and you know performers need lipstick. She wasn’t annoyed per se, just didn’t think kids needed to be in make-up. I was the little bride at a wedding once and they had me get ready with the bride and family. My mum came back appalled to see that they had covered my face in make-up. She proceeded to take it off. Haha! She borrows from me now. Last summer, when she came to visit, I took out her braids and washed her hair with some of my fave products from Antidotestreet.com (Dizziak, Jim & Henry and Hic et Nunk). She loved how soft her hair was afterwards. Now, she comments on how cute her afro is whenever she has it out. She loved this Fendi perfume, it was woody not sweet scented. It was that one gift that everyone always knew to get and then they went and discontinued it! She was not best pleased about that! We are still on the search for a worthy replacement. She also has a soft spot for Aveeno Oat body moisturiser (excellent for dry skin) and has got me on that too. On hair products, she loves everything I recommend for her. By proxy, I have emulated her simple approach to make-up, tinted moisturiser, eye liner and lipstick. However, when it comes to traditional beauty rituals, there is a lot that I wished was documented and passed down. For example, in the Igbo land of Nigeria, there is something called Uli which are these geometric, concentric designs used to adorn the body. It is really beautiful, abstract in nature and very advanced as an art form. Unfortunately, this died out after the missionaries decried it as pagan. I often wonder about whether there are other traditional remedies, recipes, old wives tales which we may have forgotten along the way or simply didn’t document. Funny enough, this story is the other way round. My mother snuck out to get a tattoo and my grandpa caught wind of it, rocks up to the tattoo parlour and puts a stop to it. She still has an uncompleted tattoo on her hand till this day. I am toying with the idea of getting a tattoo to finish what she started, you know a full circle moment of sorts. Perhaps it will be an Uli design. As if raising 7 children was not already a feat, my mother worked as the commissioner for women affairs and development in our state. During those few years, she galvanised so many women and progressed so many issues affecting women on a grass root level. Watching her take on this role was like seeing another facet to her being. Her speeches were so eloquent and down to earth. She taught me about leadership by collaboration! The importance of achieving something as a community. I try to adopt this approach when working with all the female founders on Antidote Street, many of whom created the beauty brand that they wished existed. I imagine what it would be like if we can, together, create a truly beautiful experience for our community. Going to the hair salon, back in Ilford and getting my hair treated and blow-dried always felt amazing. Even as a young girl, it just made me feel new. The salon was a small community for black women, there was food, friends my age, music and magazines. And it was always warm, that warm feeling when you were under the dryer. Answering these questions really does take me back. Err, she used to borrow from me lol, she would send me to buy her wigs and when we would go to Upton Park, Green Street (East London) I would pick all the hair products. But everyone used the same hair products in the family, products by Pink, Motions, Kuza, Nyxon gel and Just For Me relaxer, which also had a theme song that my cousins and I used to remix and would sing our own version. As a family we would all just borrow from each other. Her perfumes all the time, all the time. My fave was Thierry Mugler Angel. No! As I only use natural products and I don’t think she’s ready to join me on the natural journey yet. 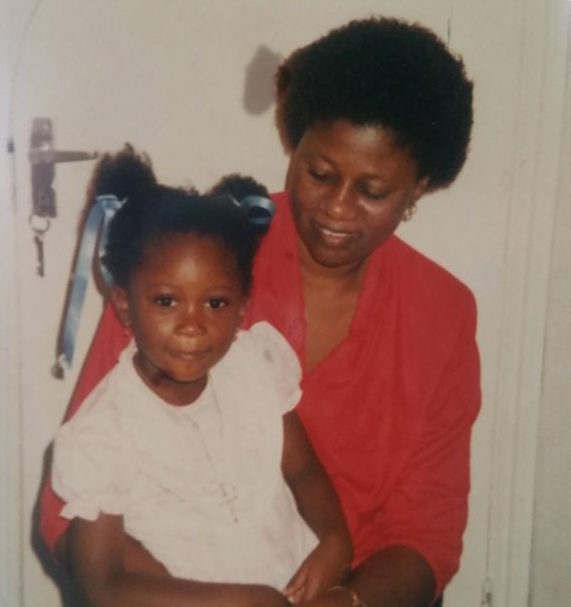 When I was young we lived in Leamington Gardens off Green Lanes in Ilford, and there was only one black hair salon at the time and my mum loved getting her hair treated and she would treat mine too, this was every weekend, but as she got older she started wearing wigs and just loves them. Well, my mum is African so when we were ill, we never really had paracetamol etc we’d have herbal leaves and fruits and natural medicine that you could only get in Africa, so we hardly went to the doctor. My older cousin would always make me a special tea that would make you feel better the same day, but she never gave anyone the recipe. My mum made a lot of mistakes with my hair, one that I remember vividly is her chopping off my hair, I had really long hair and she chopped it off when I was young. But thinking back I think the only thing I remember my mum warning me off was tattoos. I didn’t want a tattoo but she would warn me anyways, all the time. Oh yes, I remember my mum wouldn’t let me sleep at my aunts lol because my aunt used to bleach her skin, so my mum would always be afraid my aunt would give me her bleaching cream to use on the sly. So whenever we went round to my aunt’s my mum would be like “don’t use her soap, don’t eat or drink anything because she will even try and bleach you with food” lol! I will definitely advise my daughter not to get a nose ring or tattoos but if she ends up marrying a rock star, I’ve already lost that fight. With children you have to practise what you preach, because they watch everything and will interrogate you! 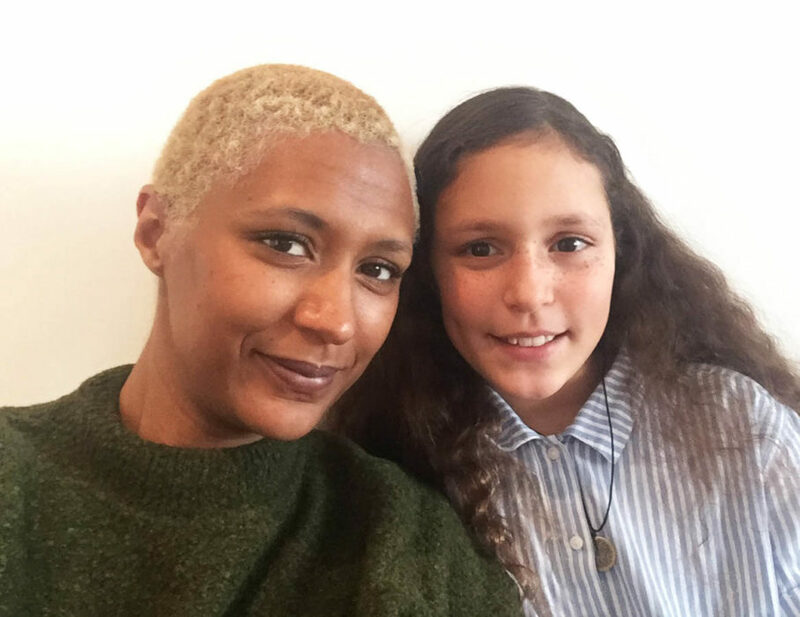 I don’t want my daughter to relax her hair, I stopped relaxing my hair (three years ago) as soon as I found out I was pregnant with my daughter, because I knew that I didn’t want to relax her hair so the change had to start with me. But yes! That’s still not going to stop me from telling her what to do. My mum introduced me to God! I grew up in the church and because I spoke my native language Lingala and also spoke English I would be the one translating from the beginning to the end of service, I helped set up the chairs and I would also lead the church choir. I did this every Sunday. I hated most Sundays because of this heavy responsibility but my years at the church not only taught me so much about God, but as an adult all of the work I put in every Sunday from helping out and cooking for the after service and leading Sunday school having all these different roles have moulded me into a woman who is giving and selfless. I love volunteering, giving my time and helping other people, I don’t believe that I would be like this if it wasn’t for church. One of my earliest beauty memories that really stands out is when I got my first weave in preparation for a joint birthday party with my younger brother. I had badgered her for months prior, eventually convincing her to get me a weave. I remember my 10 year old self going to a church auntie’s house. Sitting there for what seemed like aeons as my hair was blown out, then cornrowed and wefts sewn on. My ma coming to collect me and looking on as I flicked and swooshed my sew-in shoulder length straight weave with the slices of caramel that I insisted on. Absolutely in love with what my 10 year old self saw as perfection. The feeling of perfection did not last long. The itching started on the drive home. My ma, telling me to pat my head instead of scratching for fear of undoing the threads. By my bedtime the itching was unbearable, me in tears, begging her to take them out. After much back and forth reluctantly she did. Me relieved and her (something I did not find out until much later) undoing the money spent and trying to work out how she’d be able to afford to have my hair re-done in time for the party. Her Fashion Fair foundation and Mary Kay perfume and mascara that I use to dilute with water and use a thin paintbrush to fill in my eyebrows that had been (and still are) destroyed by a bout of eczema. She would never get annoyed with my using her stuff as such. As her only daughter who was most of the time an out and out rough and tumble tomboy I think she secretly liked to see me indulging in “feminine” habits. That said, she’d scold over the amount I’d use in one go. Where she’d apply a couple of spritzes of perfume I’d spritz half the bottle in one go. I was excessive like that when it came to scent and I think these were the beginnings of what has become a quiet appreciation for scent and smell. Not really. Through work I have the privilege to try a lot of products that I often share with her. She’s a complete convert to the Jim+Henry Eight Leave-in Conditioner and Elenge Body Butter. Yes, she has a special body oil that is blessed from her church that she mixes in with her body moisturiser. I don’t know what the blend is but it has a distinctive woody and spicy smell that feels so cosseting. Come to think of it my previous answer was a lie. I borrow (nick) that oil from her whenever I go home. The importance of clean, moisturised and hydrated skin. She uses the traditional KanKan sponge to bathe with and used it on me as a child and I still use it now. She seems to take so much pleasure in the ritual/routine of moisturising her skin. She takes her time with it and the feeling of her skin is indescribable. I love watching her do it, it’s one of the most profound and lasting memories I will forever have of her and something that I have adopted. She tried to stop me but did not succeed in convincing me not to bleach my hair blonde myself. I should’ve listened, it fell out in clumps. In fact most of the beauty clashes we had/have were and are around hair. Kind of ironic as we run SIMPLYG together. The power of prayer. I grew up in the church but veered away from it for various reasons when I was about 12, very much to her distress. Recently, I’ve found the power of prayer, or conversations with a God of your choosing or understanding to be a grounding thing. One that I am now trying to embrace daily without fear, judgement or conflict. My earliest beauty memories would be when I was about 5 or 6 and I lived in Nigeria at our family compound (a gated block of flats/ houses owned by one family). Every Sunday after church my mum would wash my hair, then my sister, cousins and I would all hang out in the afternoon whilst waiting to get our hair done by the lady that would come every week. We’d take it in turns to sit and get braided or threaded hair styles to the backdrop of one of my older cousin’s stereo blasting out music, the warm sun and the aroma of jollof rice being cooked by my mum and aunts. I remember us always being so restless whilst our hair was being done as we just wanted to be done so we could be free to play with the others. I swear I can still feel the sharp tap of the wooden comb on my knuckles whenever I’d reach up to feel how much hair was left to be plaited. I wasn’t really interested in make-up growing up, probably because there weren’t that many options and my mum didn’t really wear much make-up, just a face powder, lipstick and sometimes eyeliner. I was more concerned with my hair and experimenting with different hairstyles and hair extensions. But I definitely used to ‘borrow’ her perfumes. Her absolute favourite back in the day was Dior Poison which she used for over 10 years. Not really, she didn’t mind me using stuff just as long as they were put back where they were found, which I didn’t always do, she’d get quite annoyed by that. She loves a good burgundy lipstick, she has so many shades of burgundy from so many different brands, they all look the same to me. And she always has a perfume, her current fave is Chanel NO.5. She is a lot more experimental with make-up now, I am lucky enough to get sent a lot of products to try and she loves to test them out with me. There were always little traditional home remedies that she used to make for us, like mixing a teaspoon of palm oil with a little salt if we had a bad cough or using Rub aka Vicks Vapor Rub or Tiger Balm. Moisturising after a bath or shower was a must and the family go to product for a long time was Vaseline or Cocoa Butter. I always have to moisturise after a shower now as my skin feels dry and uncomfortable otherwise. ‘Greasing the scalp’ was another important beauty practice which I’d have to do every couple of days, we’d use a hair oil/ grease and massage into our scalp to stop it from getting too dry and flaky. Oh and African black soap was the only thing that I used for years, the smell of it reminds of my childhood. Yup there are sooo many. She banned me from getting a nose ring and a belly button piercing and I am so grateful to her for that as I definitely would have regretted it. On the barring of tattoos though, I did not listen and I’ll say no more on that accept thank God that the technology for tattoo removal has advanced. My mum is the strongest and most hard-working woman I know. She has taught me to never give up on the things that you really want and to fight for what you believe in. She’s also so supportive of family and her friends. She has so many best friends, literally 20 of them all of which she has known since secondary school and they have cared and supported each other through all of life’s ups and downs. Her huge circle of close friends is just so special and rare, I think that says a lot about who she is as a woman.